Home BOLLYWOOD Rakesh Roshan OPENS Up On Son Hrithik Roshan’s Divorce With Sussanne Khan! 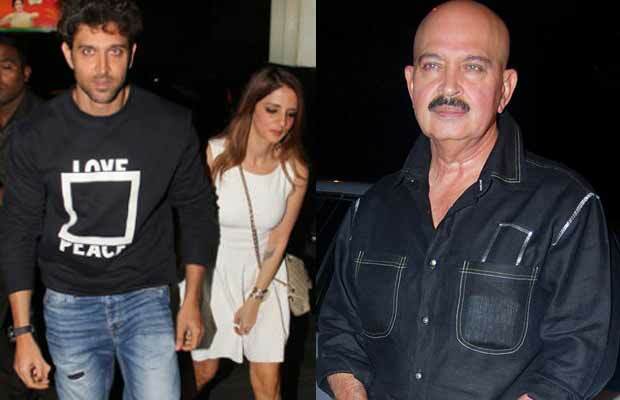 Rakesh Roshan OPENS Up On Son Hrithik Roshan’s Divorce With Sussanne Khan! Father Rakesh Roshan opens up on son Hrithik Roshan’s divorce Sussanne Khan like never before. Hrithik Roshan and Sussanne Khan have parted ways but the two have been inseparable. The two are often seen hanging out with their kids Hrehaan and Hridhaan on holidays along with their commoner friends. As well; Sussanne Khan was very much a part of Hrithik’s Kaabil promotions in some or other way. No doubt Hrithik had a tough 2016 year, but Sussanne always stood by him as a friend. Their back to back appearance left many fans to question about their reconciliation. Being parents of two young boys, Hrithik and Sussanne as responsible parents are seen sharing their responsibilities without a glitch. Well, Rakesh Roshan has spoken about his son Hrithik Roshan’s divorce from Sussanne Khan, to whom he was married for over ten years. Previous articleFormer Bigg Boss Contestant Om Swami Arrested!